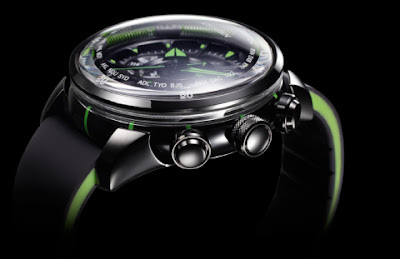 "In 2011, Eco-Drive SATELLITE WAVE is revolutionizing the way we keep time. 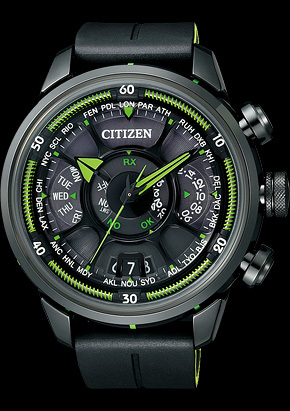 This next generation timepiece is equipped with a satellite timekeeping system that receives signals from navigation satellites. Using world-first technology*, it provides perfect precision in any open space, even in the middle of the Pacific or atop the Himalayas." 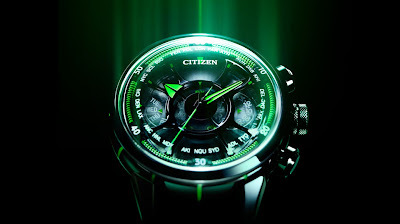 "The futuristic styling of this timepiece incorporates motifs such as space, the Sun, the Earth, satellites and light. Each individual component of this timepiece is manufactured using Citizen's cumulative watch-making experience. The combination of futuristic design and next-generation technology gives this watch a unique presence."